Born and raised in Frankfurt, Germany, Renate now lives in Columbia, Missouri where she maintains her studio. "There has always been a desire within me to be creative, whether I was painting or designing a logo or corporate image." Renate earned a Bachelor of Science degree in arts and graphic design from Columbia College, where she studied under Professors Sidney Larson and Ben Cameron. After a long career in commercial art, she decided to fulfill her dream and devote more time to her paintings, focusing on both regional and international subject matter, and allowing herself to appeal to a diverse audience.
" I always loved the feel of paper, and choosing to paint on paper rather than canvas was consequently an obvious decision." 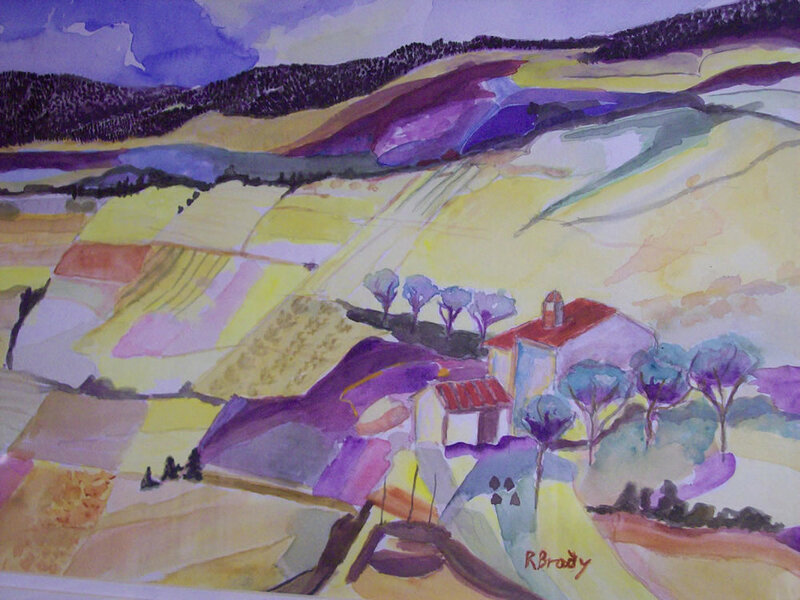 Her mediums includes pastels, watercolor, mixed medium, acrylic, pen and ink. Color, whether brilliant or subtle, is the element that drives her to create paintings with feelings and sensations, with vibrant and bold colors. Her work reflects nature in natural and abstract forms where she experiments with surface quality in color relationships and simplifying reality to slight abstract forms. All works make an open statement to the viewer. She has received numerous awards in many juried and invitational exhibits, local and regional.